The seventh annual Alabama Book Festival will be held in historic downtown Montgomery at Old Alabama Town on Saturday, April 21, from 10 a.m. to 4 p.m. The free public event is the state’s premier book festival, with more than 5,000 people from around Alabama and the South converging on the capital city to meet and mingle with forty-five celebrated authors. Featured authors include Alice Randall, country songwriter, food activist, and critically acclaimed author of The Wind Done Gone and the forthcoming Ada’s Rules; Huntsville’s Homer Hickam, author of Rocket Boys and his new young adult novel, Crater; Alabama native Rheta Grimsley Johnson with her new book, Hank Hung the Moon . . . and Warmed Our Cold, Cold Hearts; and children’s writer Calvin Alexander Ramsey, author of Belle, The Last Mule at Gee’s Bend. Daniel Haulman will discuss his recent book, The Tuskegee Airmen: An Illustrated History: 1939-1949. And Alabama State Council on the Arts fellowship recipient Abraham Smith of Tuscaloosa will read from his poetry collection, Hank, inspired by Hank Williams. Author readings will be followed by book signings, giving attendees the opportunity to purchase books and get to know their favorite writers. The children’s activity area, sponsored by the Montgomery City-County Public Library, will feature storytelling, arts and crafts, and fishing for books. And in keeping with 2012 being the Year of Alabama Food, there will be plenty of delicious Southern fare from Boomer T’s Bar-B-Q to caterer Jennie Weller on the grill. 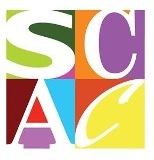 Sponsors include the Alabama Humanities Foundation, Alabama Library Association, Alabama State Council on the Arts, Alabama Writers’ Forum, Capitol Book and News, City of Montgomery, Montgomery City-County Library System, Old Alabama Town/Landmarks Foundation, Support the Arts Car Tag Fund, and Troy University. 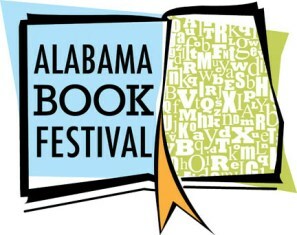 For more information, visit www.alabamabookfestival.org or call 888-240-1850. 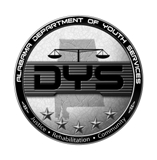 Media contacts: Bob McLain, 334-240-4500, b.mclain@oldalabamatown.com, or Jeanie Thompson, 334-354-0881, jeaniethompson@bellsouth.net.